overdealz has no other items for sale. 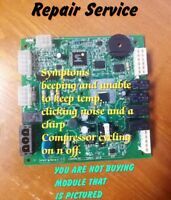 Genuine 61005438 Jenn-Air Refrigerator Control Assy., Temp. Save up to $0.99 on shipping when you buy additional eligible items from overdealz, when you use the cart to make your purchase.